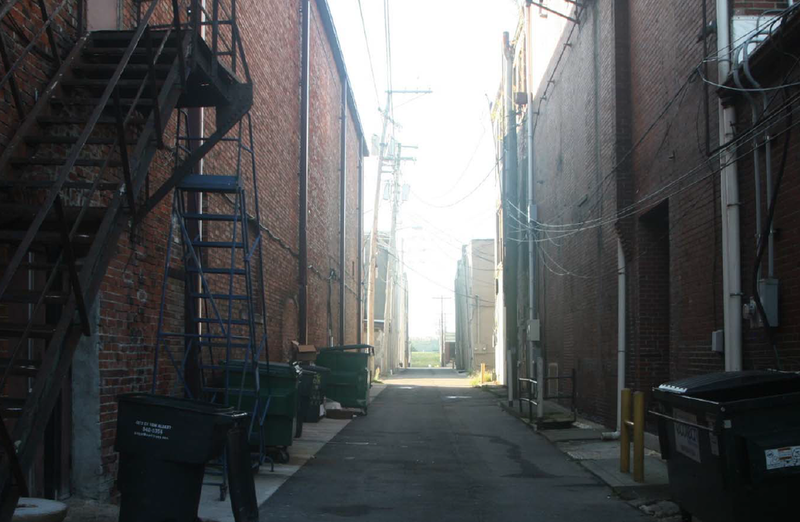 At this morning’s Board of Public Works and Safety meeting, the Board accepted an agreement between the City of New Albany and Michell Timperman Ritz Architects for improvements to the alley that runs from Spring Street to Main Street. The Alley scheduled for improvements. It runs from Spring Street to Main Street. The alley and surrounding area currently has a few murals painted by local artists, and the City wants to expand on this idea and transform the alley into an inviting and distinct pedestrian pathway. Planned improvements include drop lighting, murals, sculpture pads, planter boxes, and resurfaced decorative pavement. The City of New Albany is partnering with Develop New Albany and the New Albany Floyd County Schools Art Department on this exciting project. “Develop New Albany is completely on board and supportive of this exciting project. Improvements like this continue to attract people to visit downtown New Albany to shop, dine, and have fun,” stated Tammy Hogan, President of Develop New Albany. "The New Albany Floyd County School System's Elementary Art Program is thrilled to have the opportunity to partner with the City of New Albany in this collaborative effort. This is such a grand experience for our students. This will show young budding artists how community effects the arts, and give them a sense of pride and accomplishment they will be able to share with future generations. The ability to create youth engagement, community partnership, and instilling the idea of community service in our children is the future of New Albany," stated Mary Arnold, Elementary Art Teacher Leader for New Albany-Floyd County Schools.